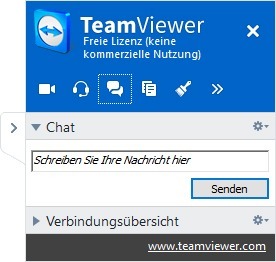 By using the desktop sharing tool „TeamViewer“ you can enable one of our support employees to see the contents of your screen or allow him to remotely control your computer. You will keep visual control of everything that is happening and can cancel the connection any time. 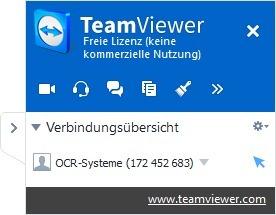 Download the remote maintenance client TeamViewer QuickSupport (16.4 MB). Here you see the ID and the password for your connection. 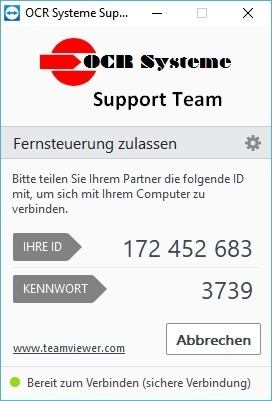 Call our support by phone: +49 341 58906-0 and pass to our support employee the ID and the password to enable them to establish a connection with your system. you can hide the window from view. During remote maintenance, it may be useful to exchange chat messages with the connection partner. 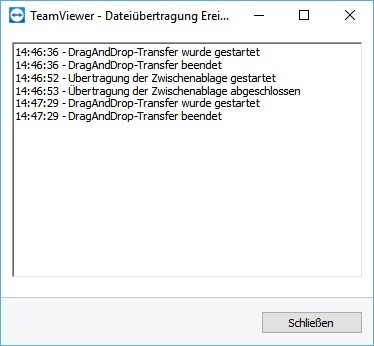 Here, you can keep control over the files and folders your connection partner is looking at or copying.